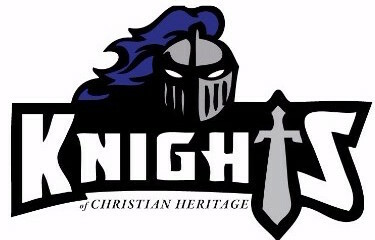 Spring sports at Christian Heritage Academy (CHA) are off to a raucous start to begin 2019. Featured sports this semester include track (varsity girls, middle school boys and girls), soccer (middle school girls) and varsity baseball. As for the varsity baseball team, head coach Brad Cassady has picked up right where he left off a year ago. CHA split its first two appearances in two entertaining games. On March 19, the Knights hosted Roanoke Catholic for the home and season opener — one that they will want to remember for quite some time. A 25-8 victory, including an eight-run 4th inning, propelled the victory. Five pitchers saw time on the hill, with three players going perfect swinging the stick. Ian Andersen the most noteworthy, tallying four doubles and a walk in his five at-bats. On Monday, CHA met Roanoke Valley Christian School, where it fell in a 12-8, back-and-forth game that was decided with only a few miscues. “This was a great start to the season and a good test to see what we need to work on,” Cassady said. Middle school girls soccer fell in its first appearance of the season, 10-0, against Faith Christian School on March 21. Greg DeBoer is the head coach of the girls team.